I’ve loved cherries since I was a kid. I remember other kids sticking up their noses at the cherry on the top of an ice cream sundae. I would happily slurp down the cherry that they would toss to the side. 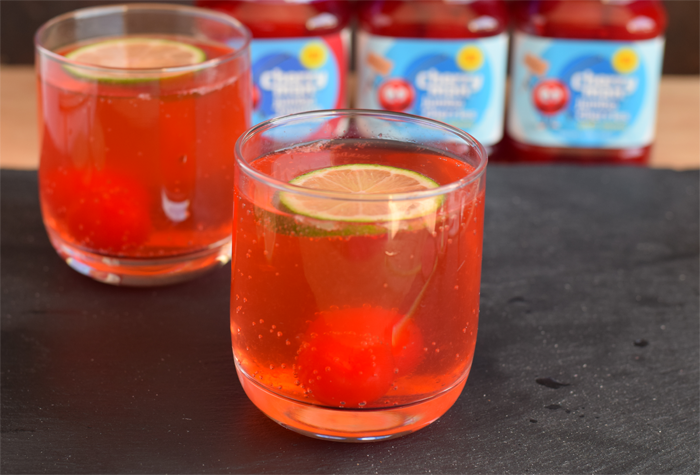 I still find the taste of cherries a flavorful surprise, and I’m happy to be partnering with Cherry Man today to bring you this Cherry Limeade recipe as part of the Laura Kelly Design Team. I’m also featuring a coordinating Cherry drink stirrer (because drink stirrers, especially themed ones, are just plain fun!) that uses the discarded stem from the cherry. Read on for both the project and the recipe! Plan ahead for this recipe by placing all the ingredients in the refrigerator before mixing. The seltzer water will lose it’s “fizziness” after the bottle is opened, so this is a make and serve recipe. 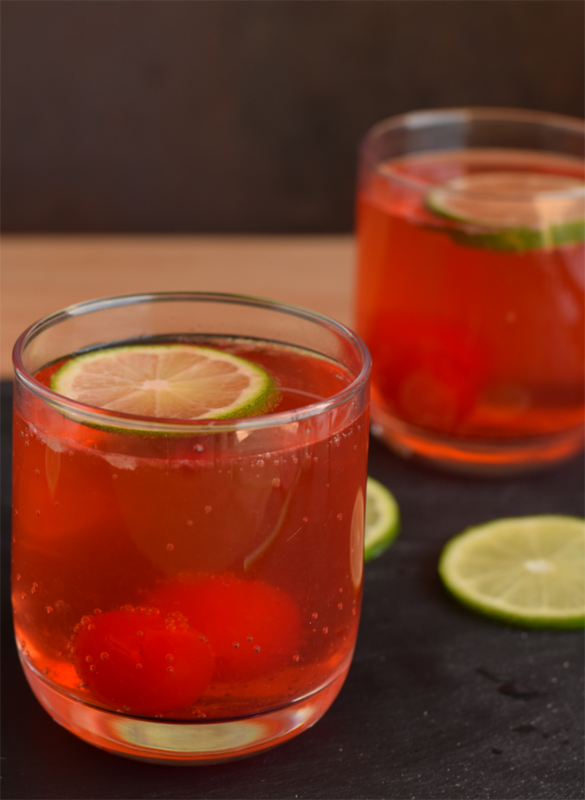 In a large pitcher, mix the seltzer water, Cherry Man cherries (in their juice), and lime juice. Pour into individual serving cups, making sure to include a whole cherry or two in each glass. Garnish with the lime slices. 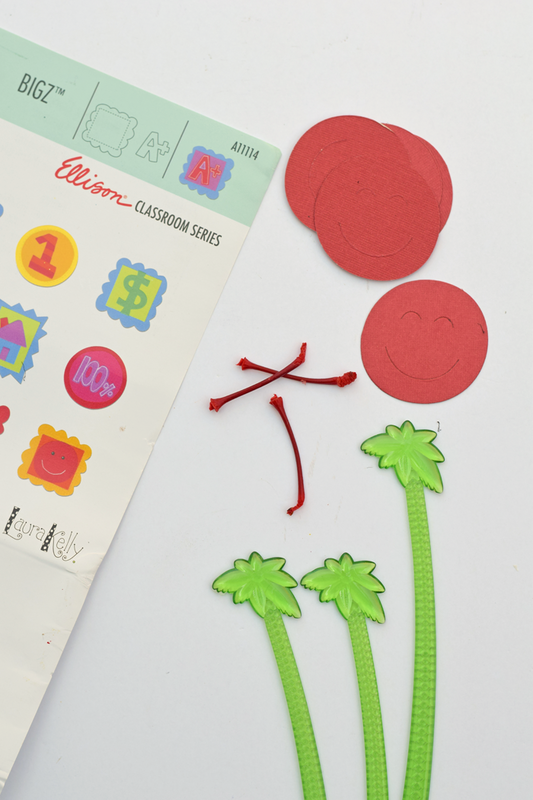 Cut out the smiley circle face from red card stock using the Laura Kelly Bigz Die Badge Icons 1 and the Sizzix machine. 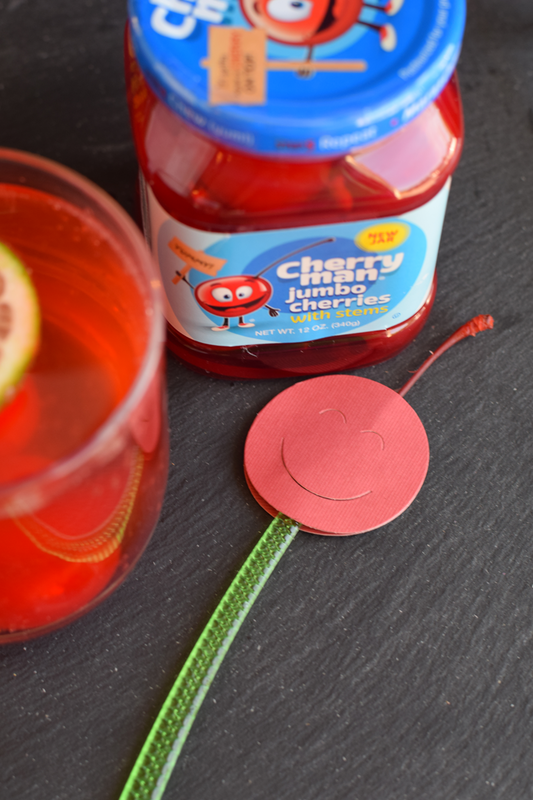 Cut TWO smiley faces for each cherry drink stirrer. 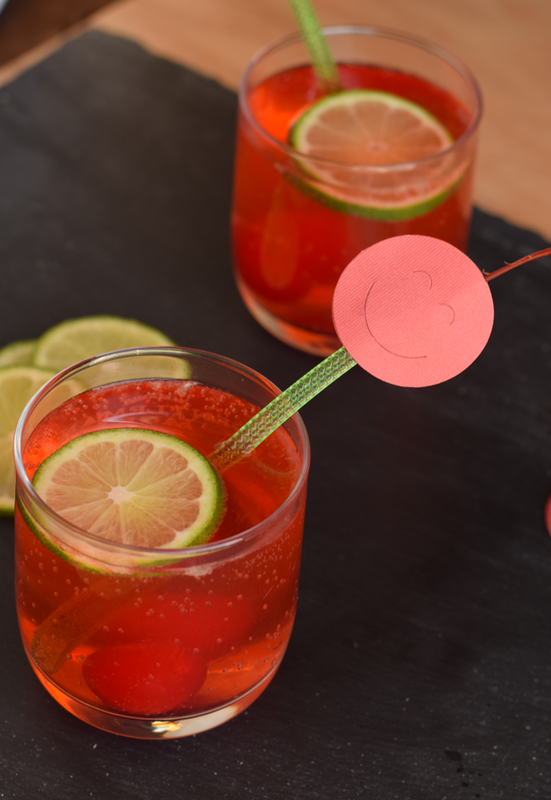 Place one red face on each side of the plastic drink stirrer. Use the Glue Dots to hold it in place. 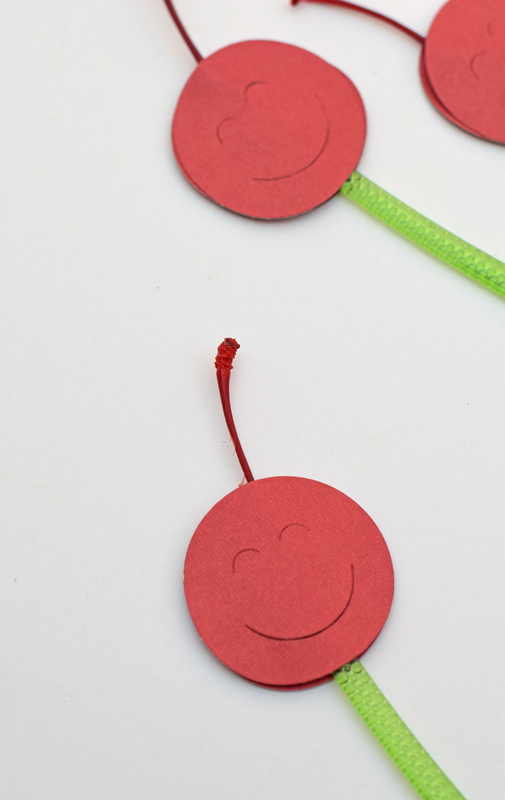 Place a stem in between the smiley faces to make a cherry. Now you have you own Cherry Man drink stirrer! 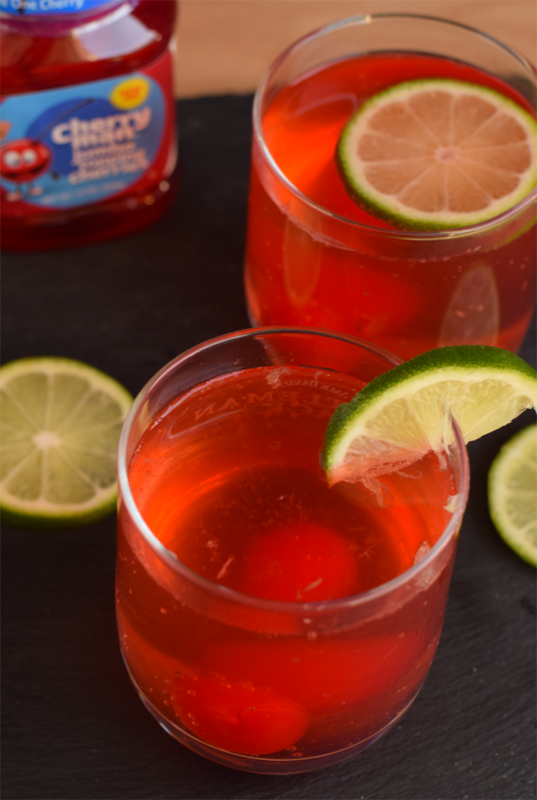 My kids went nuts over this Cherry Limeade. I loved that I didn’t have to dump a ton of sugar in it in order for it to taste sweet. The sweetness from the Cherry Man cherries was just enough! 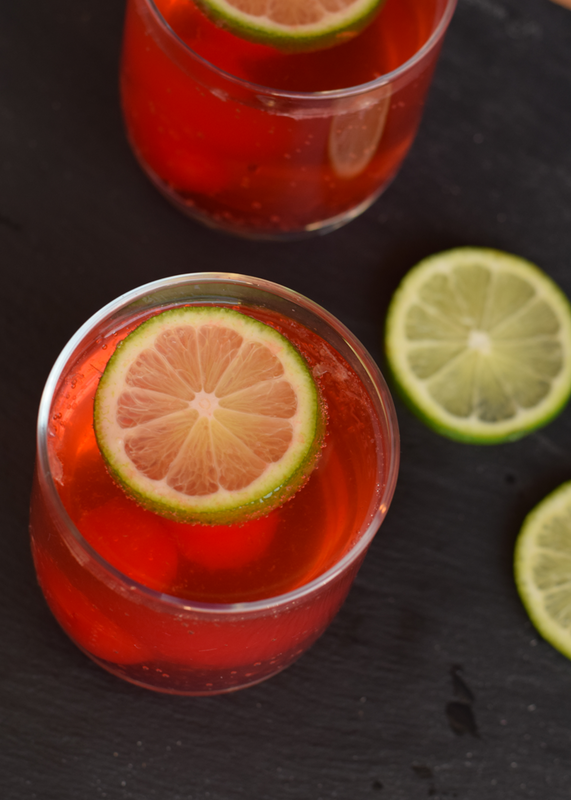 Are you a Cherry Limeade fan? Cherry Limeade from sonic is my favorite so I will have to try to make my own! This is such a cute project! How cute are those stirrers? I LOVE cherry limeade but never get to have it! 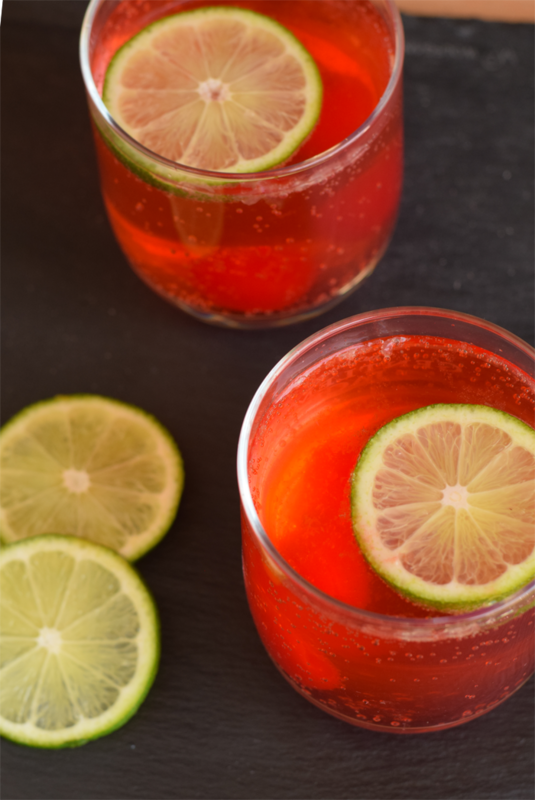 I love cherry limeaid but have never made it! I’m excited to try it! 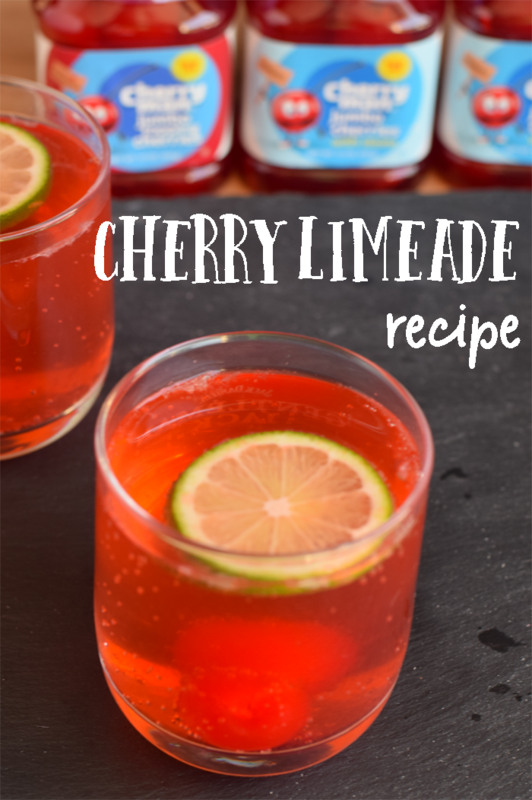 My kids would love these- we are definitely cherry limeade fans!